MOSCOW, June 20. /TASS/. 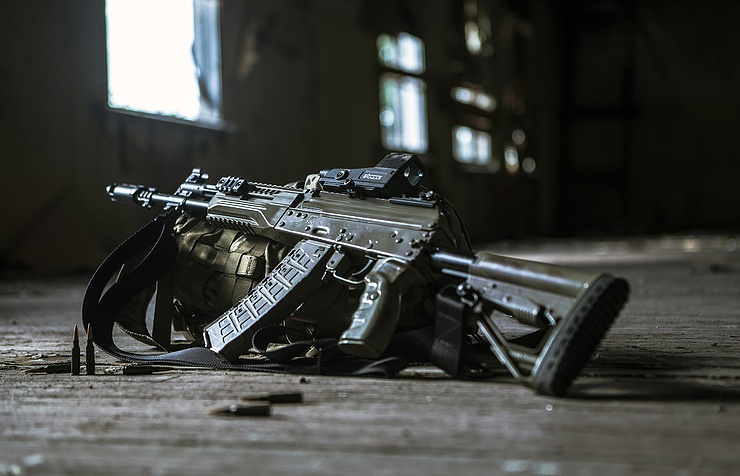 The newest AK-12 assault rifle produced by the Kalashnikov small arms manufacturer for the Ratnik ‘soldier of the future’ combat gear has passed all the stages of its operational evaluation in the troops, Kalashnikov press office told TASS on Tuesday. "It [the automatic rifle] has passed all the stages of its operational evaluation in troops," the press office said. 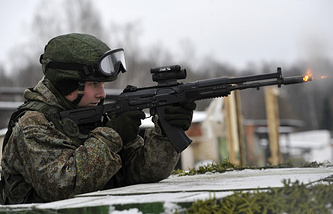 The AK-12 is expected to become operational in the Russian Army as the basic long-barrel firearm. Kalashnikov Group Director for External Relations Sofiya Ivanova earlier told TASS that the operational evaluation of the AK-12 assault rifle for the Ratnik combat outfit will be completed in the Russian Army in the first half of this year. The Ratnik is a system of advanced protective and communication equipment, weapons and ammunition. It comprises around 40 protective and life support elements and allows a soldier to get continuously updated information about situation in the combat area. In addition, the Ratnik includes a self-contained heater, a backpack, an individual water filter, a gas mask and a medical kit. An advanced Ratnik-3 combat gear with an integral exoskeleton and a helmet visor-mounted target designation system is currently being developed for Russia’s Armed Forces.